The Resurrection of Jesus Christ, a historical fact verified by a wealth of evidence, lies at the very core of what we believe. 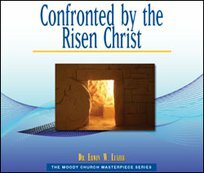 These messages, preached by Pastor Lutzer over the course of several Resurrection Sundays, present both the joy and the wider implications of our Resurrection faith. You will delight and rejoice in Christ's triumph, even as you are challenged to share the Good News of that triumph with our hurting world.